Tap House Grill Tap Takeover — Temperance Beer Co.
You do not want to miss this event! Sat 12/8/2018 it is going to be an incredible night at Tap House Grill Wheeling. 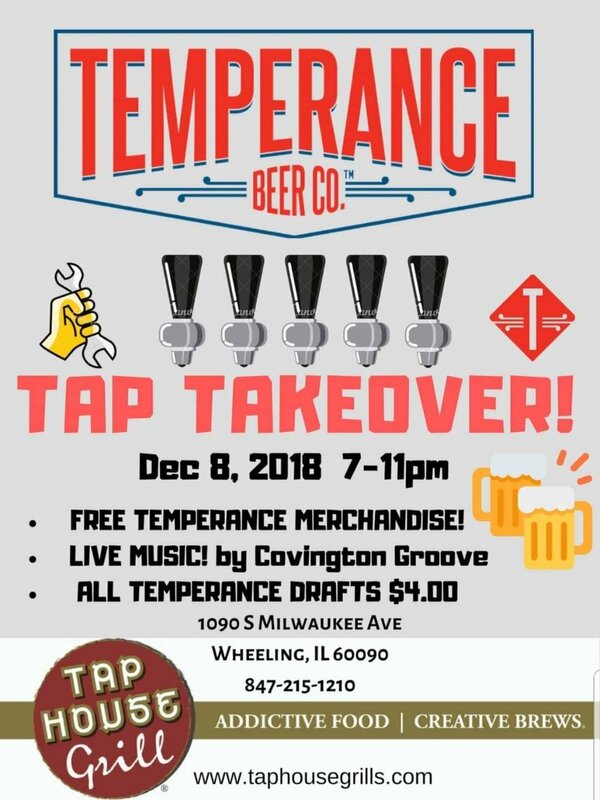 We will be handing out free Temperance Merchandise, $4 all Temperance drafts, and also GREAT MUSIC by Covington Groove!